Department store Bloomingdale’s has been a New York institution for 157 years (starting out with hoop skirts, which were all the rage in the 19th century) evolving into something of a cultural icon, favored by an elite clientele including First Ladies Jacqueline Kennedy, Lady Bird Johnson and Betty Ford. It’s also the site where Jackie O. was reportedly prone to “[dropping] tens of thousands of dollars” in a single visit. Hollywood stars like Robert De Niro, Barbra Streisand, Faye Dunaway and Diana Ross have had Bloomingdale’s credit cards. And Queen Elizabeth II herself dropped by during a state visit for America’s Bicentennial in 1976. They are the models and the television actresses, the realtor’s wives and the ad agency secretaries (razorblade thin and stalking the newest hemline), the art directors and the security analysts thronging toward the fat bowties and the Yves Saint Laurent suits for men, nursemaids pausing with baby strollers and leashed poodles to catch a whiff of Bulgarian rose at a perfume counter. 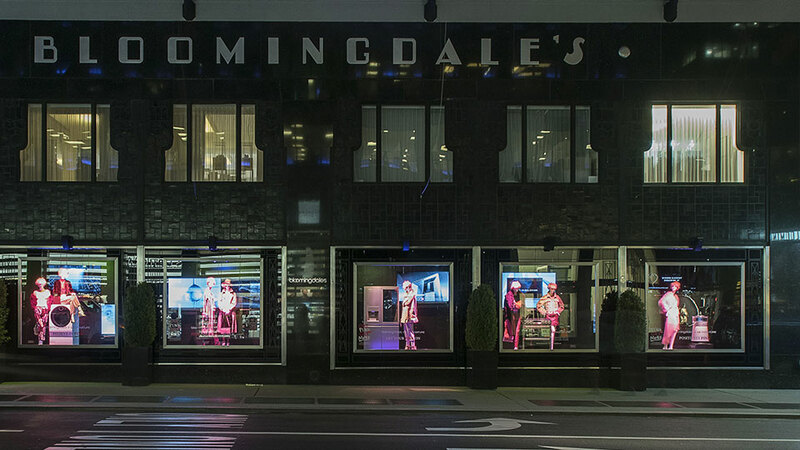 Ironically perhaps, the Times also noted Bloomingdale’s “wisely shucked off refrigerators and washing machines and left them for the discounters to bleed over,” as it recently announced plans to sell just that. But, true to form, these aren’t just any appliances. 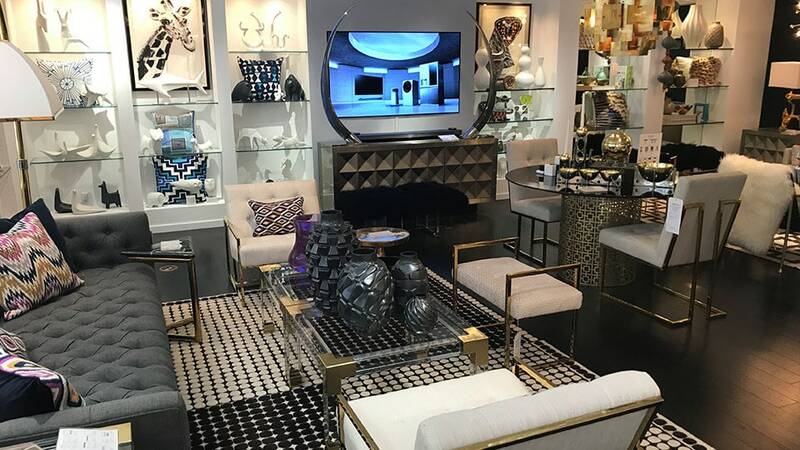 And to herald in this new era, Bloomingdale’s invited designer Jonathan Adler and multimedia artist Jason Bruges to discuss the intersection of technology, art, fashion and design, as well as how they will impact how consumers incorporate smart technology into their homes. 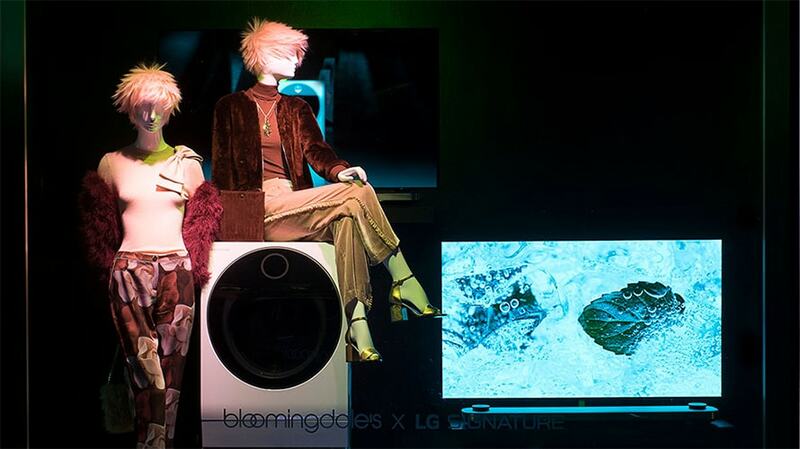 Taking place in an alcove just outside the elevator bank on the eighth floor of the infamous Art Deco building on Lexington Avenue—the façade was completed in 1931—reporters and brand representatives for both Bloomingdale’s and electronics company LG gathered on Wednesday morning. Alongside stood the latest appliances in LG’s line of luxury products. And there are some humdingers: Products include a five-credit-card-thin, AI-enhanced, voice-assistant-compatible 77-inch TV (the 65-inch model will set you back $7,000); a peekaboo refrigerator (also $7,000) that displays its contents when you knock on the door and that opens when you swipe your foot underneath; a washer/dryer that dispenses its own detergent and detects soil levels to ensure proper dosage; and a dishwasher with two wash zones, so it is gentle on the top rack and powerful on the bottom rack.